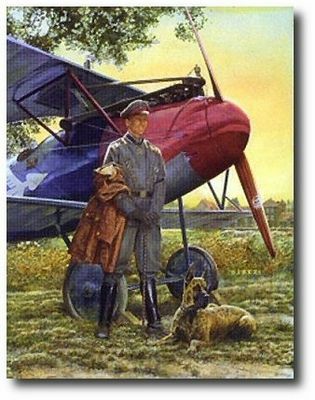 Image Size: 13.5" x 17"
Paper Size: 19.5" x 27"
Jim Dietz shows Baron Von Richtofen standing by his Albatross d.v.Scoutand his beautiful Great Dane lying at his feet. 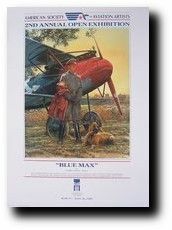 This image was used for an American Aviation Artist poster at one of their annual meetings. This print is of the poster.